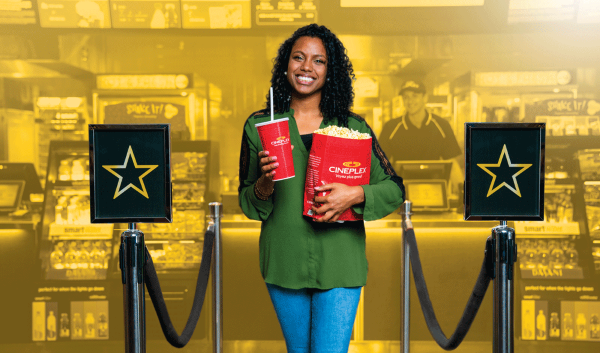 SCENE is one of the most popular loyalty programs in Canada with over nine million members nationwide, but Cineplex might be adding a new twist to the service in the future, because they’ve started piloting a paid version of the program called SCENE Gold. SCENE Gold members can upgrade a general ticket to a premium ticket for free every week. Unlike the free SCENE we’ve known for over a decade, SCENE Gold is priced at $6.99 per month (an annual subscription is also available if you redeem 8500 SCENE points) and unlocks a few extra perks aimed at frequent movie-goers. 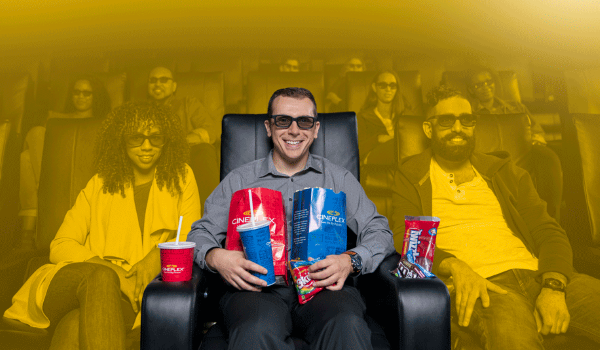 Currently, the service is only available in Edmonton at six Cineplex theatres and The Rec Room locations, but may expand to more regions if successful. What do get with a SCENE Gold membership? SCENE Gold will not replace SCENE outright, as the existing program is still available for free, but introducing a paid tier will displease some existing members, especially after Cineplex increased redemption thresholds in 2015 and have been slowly shrinking rewards in games like TimePlay to make earning points more difficult. Plus, the move could potentially open the door for popular redemption promotions to be available for paid members only to incentivize new sign-ups. Skepticism aside, the perks aren’t terrible, especially for those who go to movies at least once a month or prefer premium formats like UltraAVX and IMAX. For instance, a standard general admission ticket at Scotiabank Theatre Edmonton costs $13.75, while an IMAX ticket costs $20.75 -- a difference of $7.00. By using a free ticket upgrade once, the monthly fee would have already paid for itself. SCENE Gold members will have access to a priority members-only concession line. Despite this, it's a little disappointing that Cineplex didn't adopt a more appealing subscription plan like AMC Stubs A-List in the United States, where members pay $19.95 per month and can see three movies in any format every week. A similar third-party plan is available in Canada with Sinema, but the service is unaffiliated with Cineplex and has been criticized for buggy payments and frequent price fluctuations. A first-party solution would likely be popular, but appears unlikely in the near future, as indicated by Cineplex CEO Ellis Jacob during an earnings call in May, "We will evaluate the subscription model that works for both Cineplex and the studios...we will continue to evaluate, but we’re not rushing into doing something that will not provide meaningful benefits both sides."